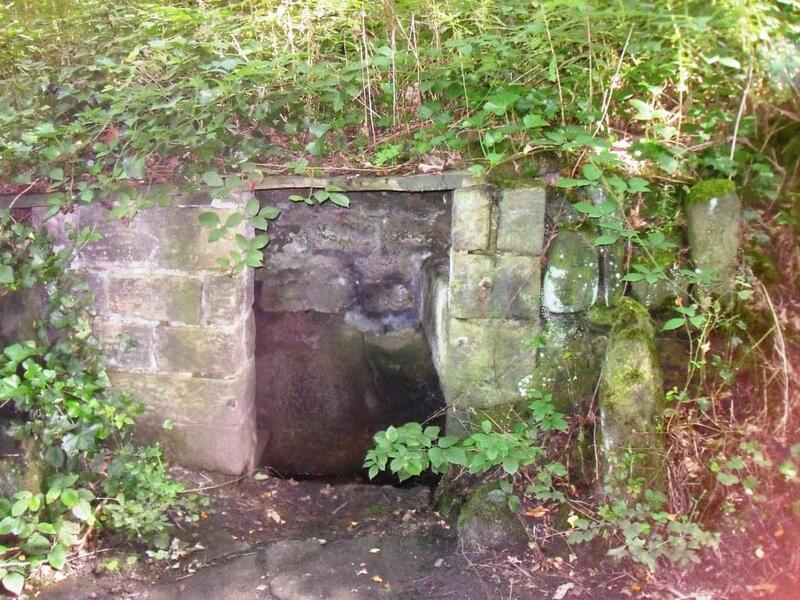 Calverley Cutting, or Honoria Drive, was made in 1856 by the Thornhill family to replace an old packhorse track linking Calverley to Apperley Bridge. 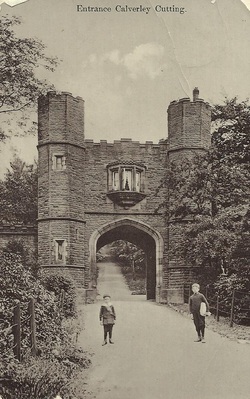 The entrance was called Apperley Lodge or Thornhill Lodge and became known as The Needle's Eye. By 1965, the structure had become unsafe and was demolished. 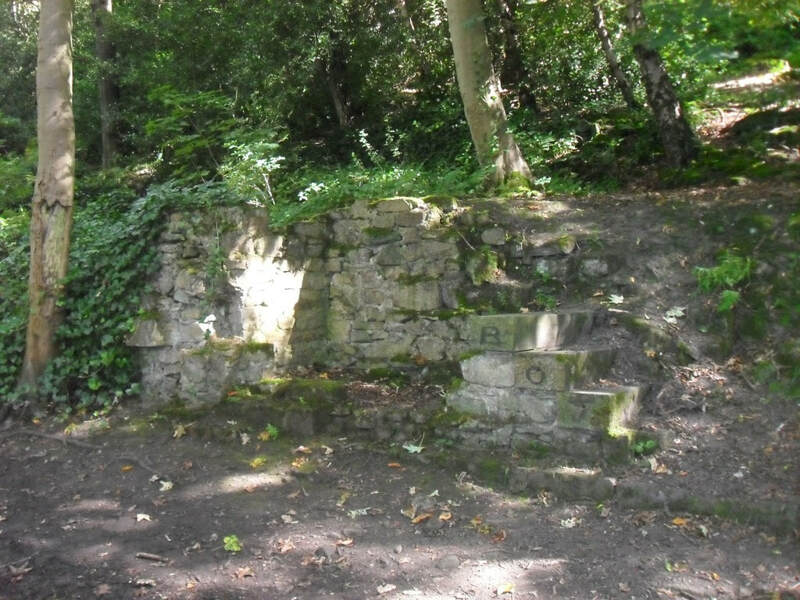 The site of where the lodge used to be. 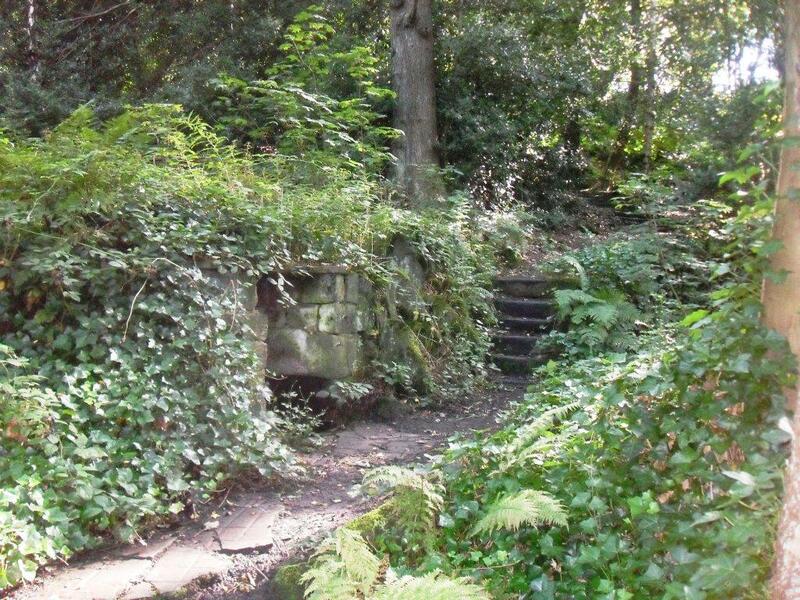 Almost lost in West Wood are the remains of the mid 19th century garden of Champion House, one of the superior villas that Calverley Cutting was intended to give access.